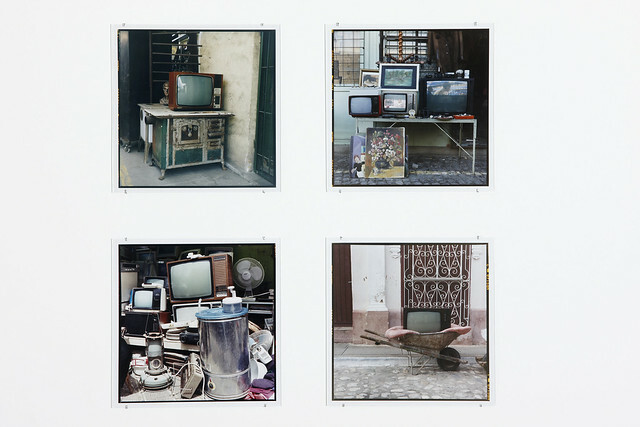 Starting in the 1990s, artist Zoe Leonard began photographing the shops in New York City’s Lower East Side. As the New York Times reported [last week], small neighborhood stores like local bodegas are declining in the city as rents steadily rise and chain stores strong-arm their way in. Leonard witnessed the start of the decline as mom-and-pop shops — with their hand-lettered signs and strange window displays — started vanishing throughout the decade. She photographed them with something equally obsolete: celluloid film. The artist captured the changing landscape with a vintage 1940’s Rolleiflex camera, using gelatin silver, chromogenic, and dye-transfer printing processes. She didn’t crop the black frame of the negative from the final image, either. 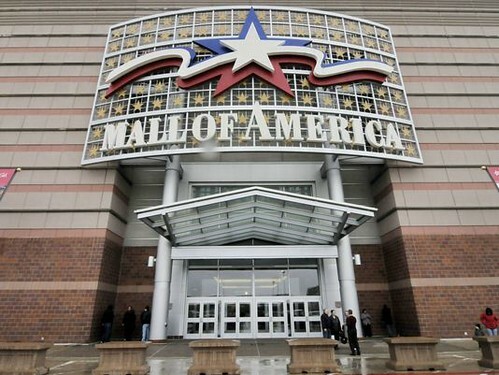 As we ruminate on retailing, we might recall that it was on this date in 1992 that the Mall of America opened in Bloomington, Minnesota, becoming the largest shopping mall both in total area and in total store vendors in the U.S. It receives over 40 million visitors annually (the most of any mall in the world), and generates nearly $2 Billion in economic impact. The Mall has 7,900,000 square feet of space and 11,000 employees (13,000 in Holiday season). Its 12,000+ parking spaces are relatively few given the store and employee count; but as the Mall is on Minneapolis’ light rail system, and many shoppers arrive by shuttle from nearby hotels or the airport, they suffice.